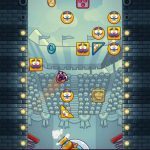 To put it very simply, XperimentalZ Games’ new Android and iOS title Pinball Breaker Forever is a cross between your average arcade pinball game and Breakout. You will need to break all of the blocks with your pinball and your paddles, and you can earn different amounts of points depending on the color of the blocks you break. 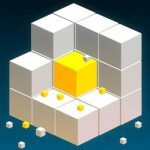 Some of these blocks may even come with their own power-ups that can help you score even more points, or even help you in your journey to mastery or challenge your level of skill. The developer also notes that the game can “provide fun and entertainment for hours,” though he warns that this is the “lite” version that has substantially fewer levels than the full version. 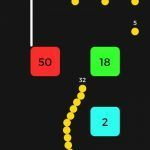 It may sound like a simple, retro-style arcade game, and if you’ve played pinball games and/or Breakout and similar games to that latter title, then you probably know what to do. But can you master this game before most of your friends do? We can help you on that road to mastery, with an exclusive list of Pinball Breaker Forever tips and tricks. The one thing you should avoid in this game is your ball falling down and going past the paddles. But you shouldn’t worry either if that ever happens to you. That would only mean that the blocks on your screen will go down a couple of spaces. The only time you should really be worried is if the blocks actually hit the paddles; if that happens, then it’s game over for you. You can earn coins naturally by playing the game, and you can use those coins to buy power-ups after each run. You can also buy new skill shots or change the look of your paddles, though it’s the power-ups that you should be focusing on when it comes to purchases. Line Explosion destroys one line of blocks. Freeze Time does what it says, freezing the time for a couple of seconds. Radial Blast gets rid of surrounding blocks in a radius, Unstoppable Ball allows your ball to keep bouncing against and destroying blocks without bouncing, Multiball adds extra balls when you launch the ball toward the blocks, and Wall blocks the area underneath the paddles, again for a few seconds’ time. Power-ups are, in the grand scheme of things, the most important items you can buy in the game. But skill shots also make for good purchases, which means it’s the cosmetic upgrades you would generally want to avoid. So what do skill shots do? They work their magic by placing targets on the board that would trigger point bonuses or special effects that destroy more blocks, provided you hit them. If the coins you earn while playing the game aren’t enough, you can get more of them by going to the in-game store. Once there, you can watch an ad video, with each video giving you 50 coins each. You can watch one video, close the game, reopen it, end your run quickly, and return to the store to watch the video; repeat as often as you want, or until the videos run out. And if you’re all out of videos, you need not worry, as they should be back in about five to 15 minutes. Whenever you reach a new level in the game, the board will change, and you may discover some new holes, with the ball emerging from the other side if it goes through them. Other times, it may only be the shape of the board that changes. Either way, you should study the board in front of you, even for a few fleeting moments, and use whatever changes there are to your advantage in the game. 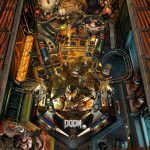 These would be our tips and tricks for Pinball Breaker Forever. If you know other hints for the game, please share them with us in the comments section below!